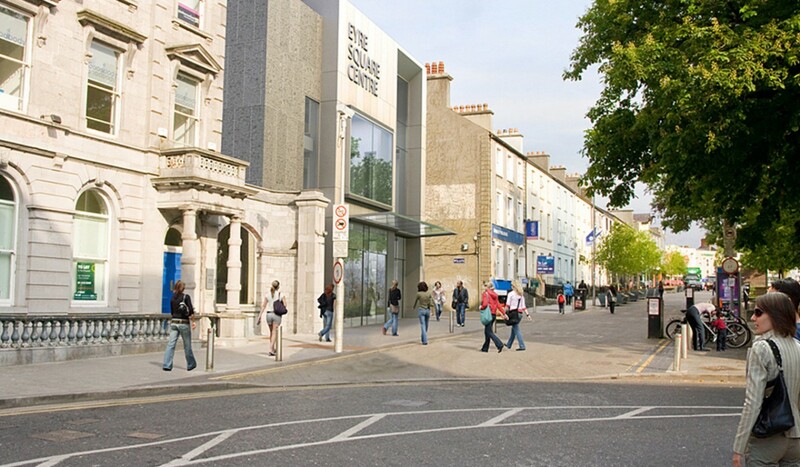 The Ramps area entrance to Eyre Sq Shopping Centre is located on the South Western side of Kennedy Park, Eyre Square and adjoins No.19 Eyre Square, a former bank building and listed structure. This area is also part of the Eyre Square Architectural Conservation Area. 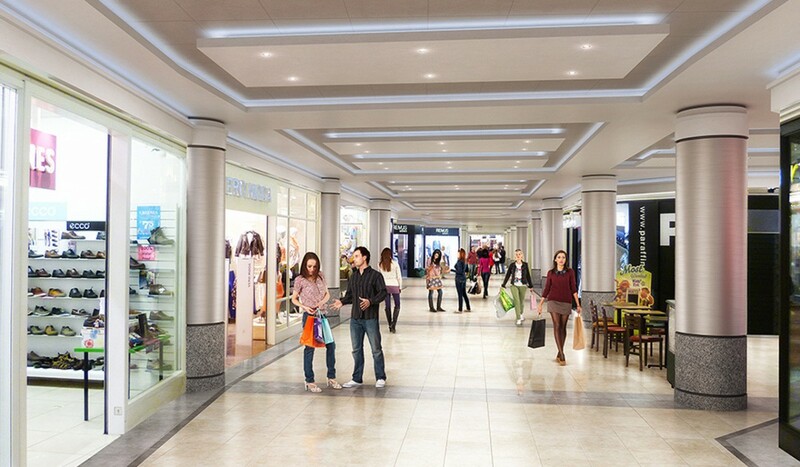 The proposal will replace 912m² of poor quality retail space and the ramped pedestrian access routes which provide linkages from both mall levels in the centre directly to Eyre Square. 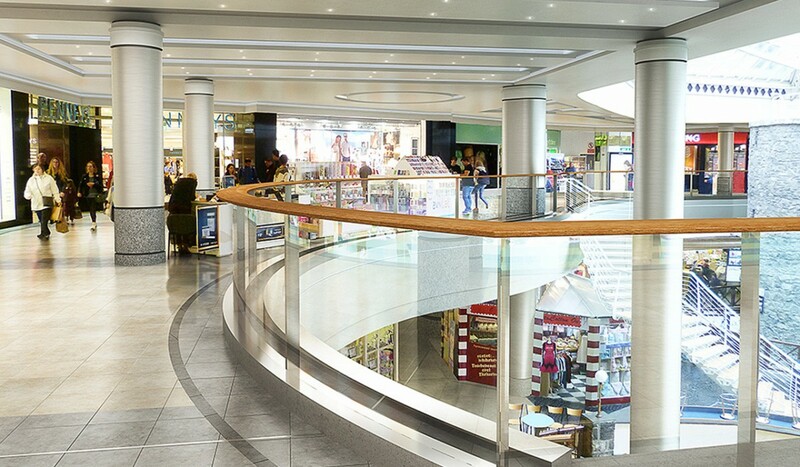 The entrance to the centre is marked with three sets of glazed entry doors and a projecting glazed canopy overhead giving access to a triple storey volume with steps up and down to both mall levels. 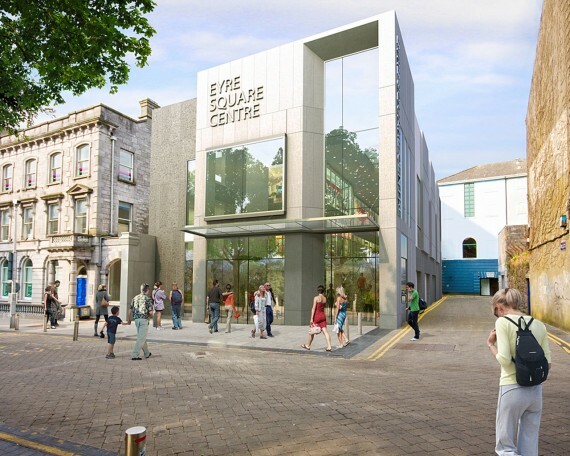 At first floor level a projecting feature window will frame views out over Eyre square from the first floor balcony and adjoining café while providing animation to the adjoining street frontage. The main stone volume turns the corner onto Ballalley Lane. 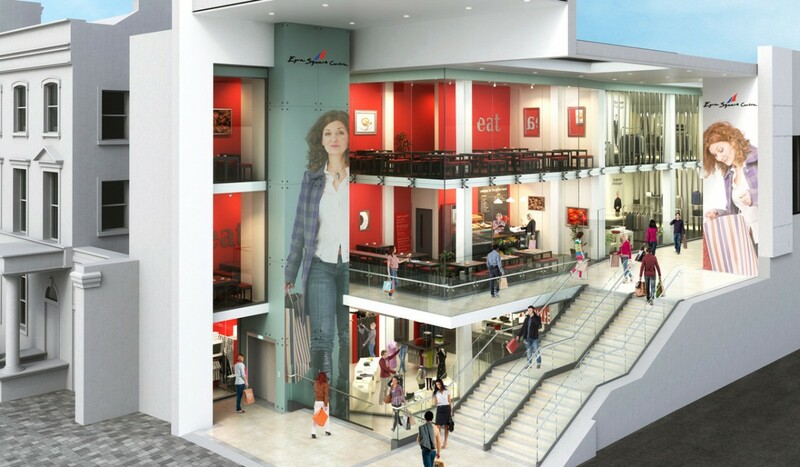 Projecting stone feature panels and vertical windows at first floor level provide rhythm and animation to this elevation while a band of flamed coloured limestone provides a robust plinth at street level broken by feature windows providing glimpses of the retail spaces at the lower level mall. 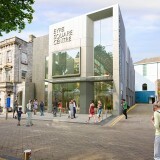 To respect the setting of the adjoining protected structure the new building is set back at first floor level from the North West elevation of No.19 Eyre Square. The line of this set back terminates at the rear edge of the northern most curving wing of No. 19.This approach maintains the integrity of the north western elevation of No.19 and does not effect the read of the protected structure as a set piece in the context of Eyre Square and the Eyre Square Architectural Conservation Area. At this location the flamed limestone turns the corner from the Eyre Square elevation. 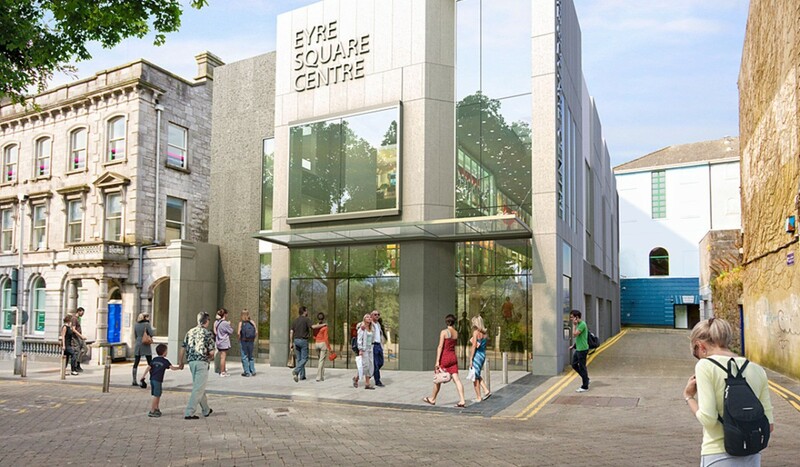 The area at first floor between the proposed café and No.19 Eyre Square will be used as an outdoor café deck with excellent views over the adjoining square.